Thanks to Just Chill Out records for releasing our new track Smoke & Mirrors – it can be purchased from the their website. “Whether you love Stereolab or exotica spy-thriller soundtracks, you’ll find the swirl of music and nonchalant Twiggy-esque vocals on Telemetry’s Out Of Nowhere intoxicating.” Paris Pompour, 2SER. Out of Nowhere sees vintage pop and psychedelic sounds converge on a moment of sonic bliss, with a gentle melancholy. Featuring a more roots inspired approach, the EP is an homage to warm, smoky fuzzed out days and nights, distant triumphs and lingering melodramas. Created in Lilyfield, in Sydney, Out of Nowhere came from live playing and features live recorded beats and melodies and less samples than previous T.O. releases. The Telemetry Orchestra’s current line-up is Gavin Angus-Leppan and Charlotte Whittingham who wrote, sang, played and recorded the tunes with added drumming by Danny Heifitz (Tango Saloon, The Head, Mr Bungle). The release is in digital and CD format with cover art by Sam Whittingham. A video for Silvertongue is in the pipeline. 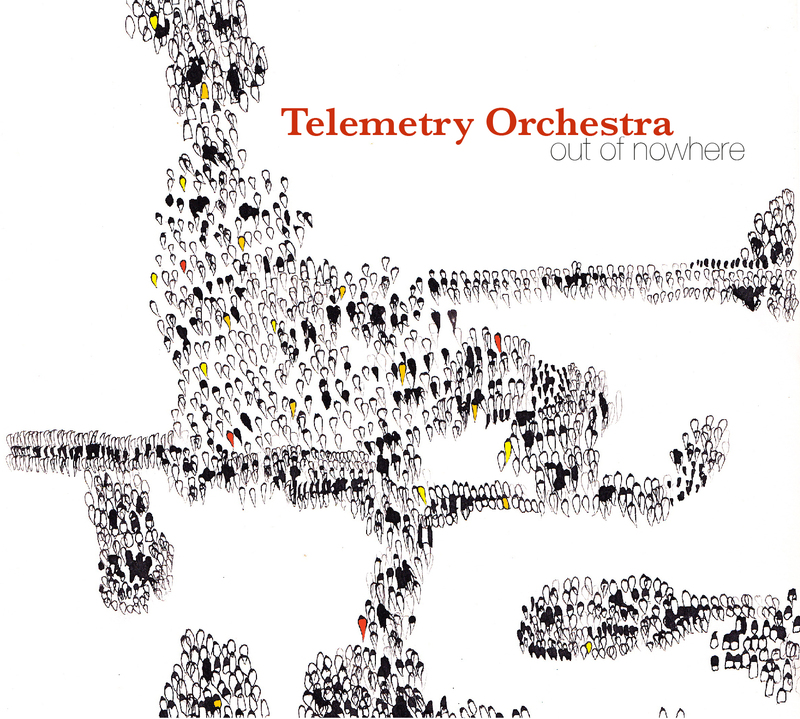 Telemetry Orchestra arrived packing samplers, analogue synths and old vinyl in the early 90’s and played the Sydney downbeat, breakbeat, electronic scene, putting out Live Better Electrically in ’98 through their friends and collaborators in Clan Analogue. In the late 90’s Andrew Jones got busy with other stuff and Charlotte Whittingham joined, lending her dulcet tones and light touch. Gavin Angus-Leppan, Steve Scott and Charlotte went on to produce Children Stay Free (2002) and Empire (2006). The band played with a full live setup and had a lot of fun playing shows along the east coast of Australia. More recently Steve’s graphic talents proved too much to keep him in the country and Charlotte & Gavin were left holding the baby.